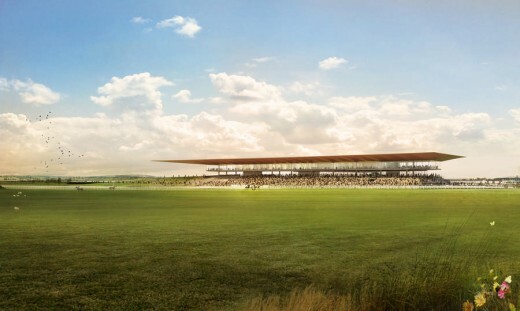 3 February 2014 – Grimshaw, in association with Newenham Mulligan & Associates (NMA), has been chosen to produce a concept design for the redevelopment of The Curragh Racecourse, Ireland’s spiritual home of horse racing. The practice’s proposal for this prestigious Irish venue was selected following an international architectural design competition run by the Turf Club, which saw entries from more than 100 leading practices. The competition sought an outstanding master plan that could modernise the site whilst respecting the surrounding landscape. The Curragh is considered to be one of the best racetracks in the world and is a centre for showcasing, racing and training some of the best thoroughbreds globally. 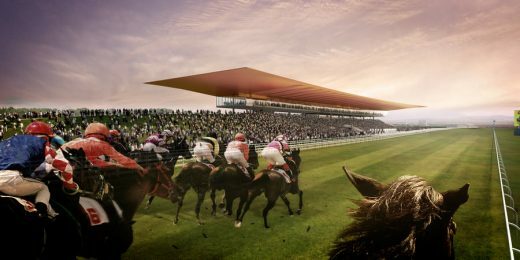 The racecourse is situated on a site rich in history and tradition, the preservation and strengthening of which was a core consideration of the winning proposal. 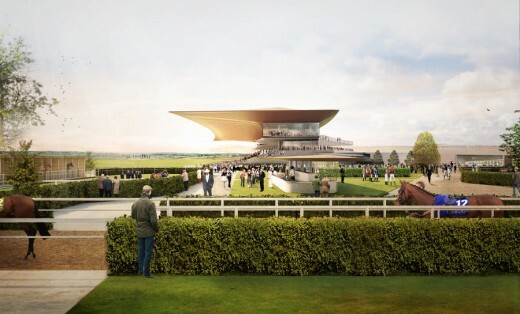 Integral to the concept for the new grandstand and wider master plan is the importance of celebrating the unique landscape of the Curragh plains, whilst retaining the intimate and distinctive character of the existing racecourse grounds. The redevelopment aims to upgrade the facilities and amenities of the site with an innovative design that will create a sense of arrival, atmosphere and excitement. 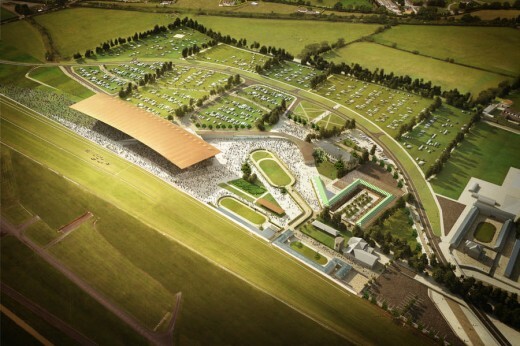 Grimshaw Partner Kirsten Lees said, “The master plan provides an opportunity to review the site and the wider offer in a way that cherishes its existing qualities but also enables The Curragh to meet the demands of the future and continue to compete at an international level.